Become a Freemason – Olive Branch Lodge No. 16 F. & A. M.
The path to Masonic membership is fairly straightforward, however there are several points to consider before you join the fraternity. Freemasonry does not solicit new members. Men interested in joining the fraternity must inquire of membership of their own free will. This is because Freemasonry believes men who truly desire membership and seek it out will become much stronger and useful Freemasons than those who join by invitation. Potential members should have a general idea of what Freemasonry is all about. Freemasonry is often cited as being a “peculiar system of morality, veiled in allegory and represented by symbols.” This vague description means Freemasonry is a system of guidelines by which to live life—striving to be a better and useful man to yourself, your family, and your community. It is worth talking to a Freemason at length to discuss the ins and outs of the Fraternity and if its a good fit for you. Being a good Freemason requires work in self reflection, self discipline, and service to others. Freemasonry is not a social club nor a civic organization. Members are held to high standards and are expected to be productive members of society. Becoming a Master Mason can take many months. Initiation requires the memorization and recitation of a catechism as well weekly or biweekly meetings. Initiation and membership carry certain financial obligations. Though fees vary from lodge to lodge, a man should understand he will be required to pay initiation fees upon his election to membership, annual membership dues, and charity requests. These time and financial obligations should not be a burden on a man’s duty to his family, occupation, or community. While there are no attendance requirements of a Mason, a man will not obtain the full benefits of membership if he does not have the time to attend and participate in a reasonable number of meetings and other activities without neglecting his family and other duties. A man should examine his own lifestyle and determine if it will suit him to be a Freemason. Freemasonry recognizes the inevitability of human frailty and harbors no illusions about finding or creating perfect men. It only hopes to make good men better men. A man would probably not be rejected from membership simply because he is known to take an occasional drink, but he will be rejected if he is known to be an alcoholic or that his occasional drink is cause for unseemly behavior. The fact that a man is divorced is not, in itself, cause for rejection, but if he has abused his wife or their children he will be rejected from membership. If a man has, at some point, fallen behind in his financial or other obligations, that fact likely will not be held against him; if he failed to meet his obligations when capable of doing so he will be rejected by Masonry. Freemasons will not knowingly elect bad apples into their fraternity. They wish new members to be better men than themselves—at least as good. Masons do not claim to be, or wish to be, reformers, but they do believe a good man coming into the fraternity will become a better man as a result of his membership. 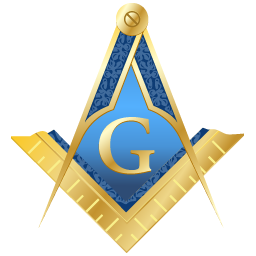 Once a man decides to seek Masonic membership he must be recommended by members of the lodge, and submit to a background investigation. Following a prescribed waiting period his petition will be balloted upon during a regular meeting of the lodge. The vote is by secret ballot, and the election of a petitioner requires a unanimously favorable ballot. The man who decides to seek Masonic membership need only to convey his desire to someone close to him who is a Mason. That Mason will take care of the process from there.